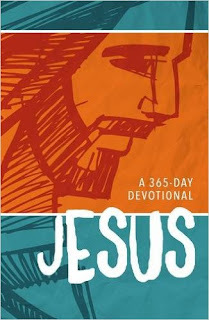 Jesus: A 365-Day Devotional by Zondervan is a wonderful devotional for 8-12 year olds! Jesus: A 365-Day Devotional by Zondervan helps kids understand revealing verses about Jesus from the beginning of the Bible to the end. I love that this devotional is a year long devotional and seems to really help kids dig deep into the Bible. I also love that each devotional includes a Scripture, an explanation, and a prayer for reflection to help children discover that Jesus Christ is the way, the truth, and the life. Jesus: A 365-Day Devotional truly is a complete devotional that both kids and parents will love! You can find Jesus: A 365-Day Devotional by Zondervan on Amazon, Barnes and Noble and other bookstores.